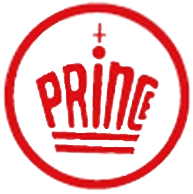 Prince Pharma has been established in Taiwan for 50 years and is one of the world’s leading producers of vitamin B1 active pharmaceutical ingredients (APIs), which has been supplied to Taiwan, Japan, Span and Europe etc. We have also actively pursued various software certifications such as cGMP, PIC/s GMP, ISO and HACCP. Thanks to its adherence to its quality policy of delivering top quality, leading technology and top services, the company’s manufacturing technology is now favored and recognized by Japanese pharmaceutical companies.